The Kore skirt is an exciting, contemporary take on the traditional A-line midi. It is made using panels of gorgeous grey and white striped cotton, meticulously sewn together to create clean lines and sharp angles that contrast with the drape of the soft fabric. 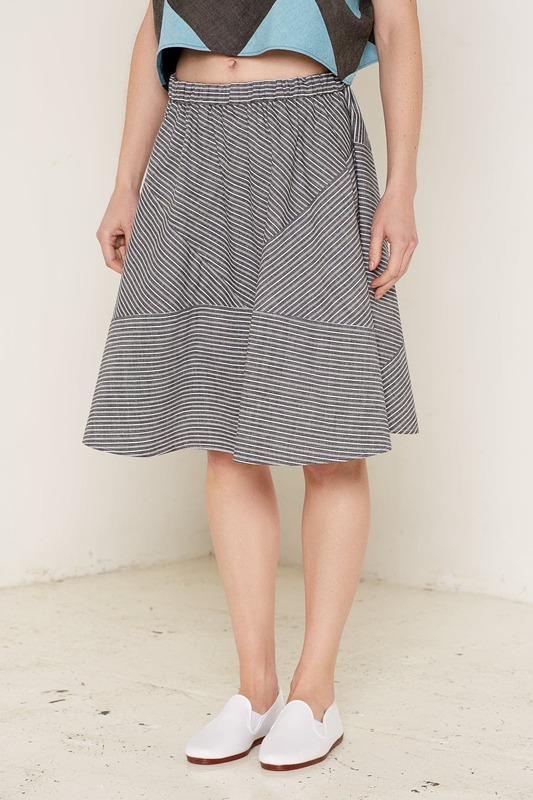 The skirt is available in one size and is finished with an elasticated waist made from the same striped cotton.